A beautiful rendition of this song . . . I LOVE the bagpipes in this! Thank you so much for all of your support and encouragement over the last month . . . and over the last few years! DT post by Gwen - Toad-ally cute Valentines! As soon as I saw these funny little frogs in the silhouette store I knew I had to use them. They only come as print and cut, I did two of them cutting on the edge and one I added a border. This one is 3.5" x 3.5", I stamped the heart on the front and the inside sentiment with the Build a Valentine stamp set from My Craft Spot. The hearts on this one was stamped with the Build a Valentine stamp set also. I put glossy accents on the hearts, not sure I like it. It made the ink change color and bleed a little. I cut the hearts out with the Small alphabet Metal Dies. 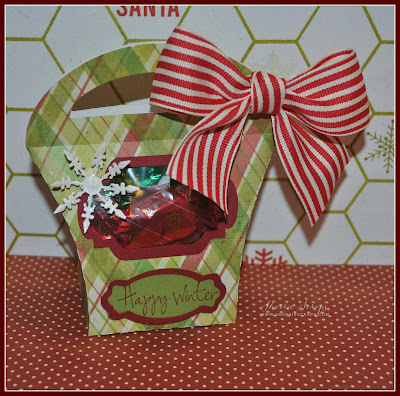 For this one I used the Build a Valentine stamp set for the toad-ally and used Tiny Tags 2 for the love u. 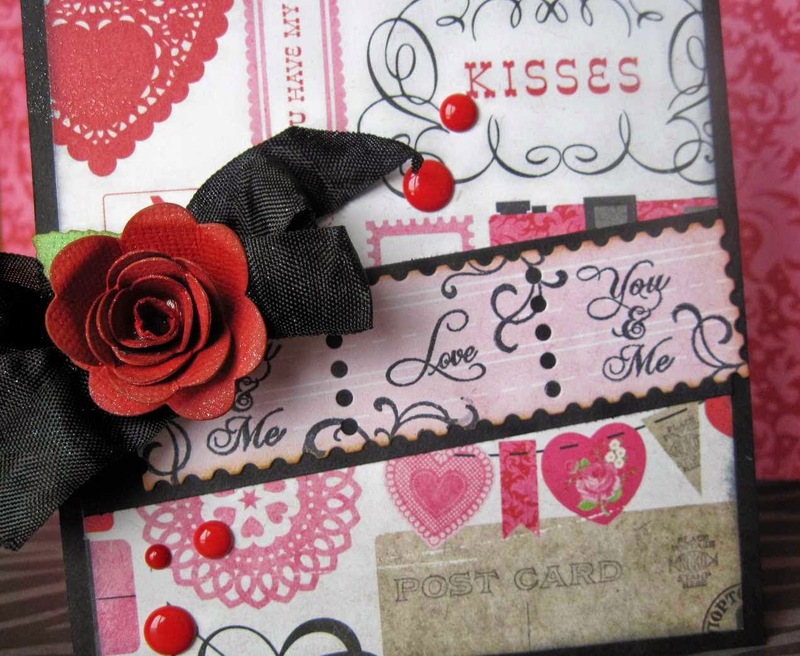 The inside sentiment is the same for both of these cards and it was made with the Build a Valentine stamp set. Clearing out Inventory - Sale still going on! DT Post by Lisa - Happy Birthday! Hello, everyone!! 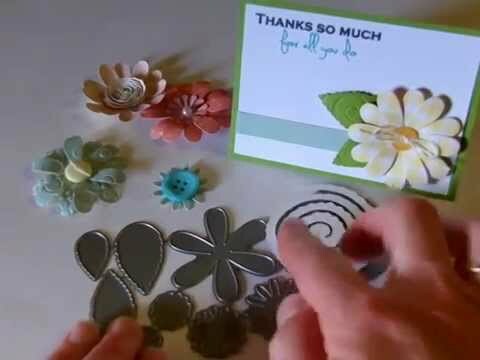 Lisa here one last time to share a project with you using some of my very favorite My Craft Spot products!! It's cold and snowy here, so I wanted something colorful that would make me think of spring :) I started with the gorgeous Spring Breeze Crinkle Ribbon...it's such a beautiful color. The butterflies are from the Small Alphabet die set, and they were covered in sugar coating. The banners are Ribbons Banners Straight dies. Tiny Doily Dies were used for the sentiment and each of the three layers were popped up with foam for dimension. 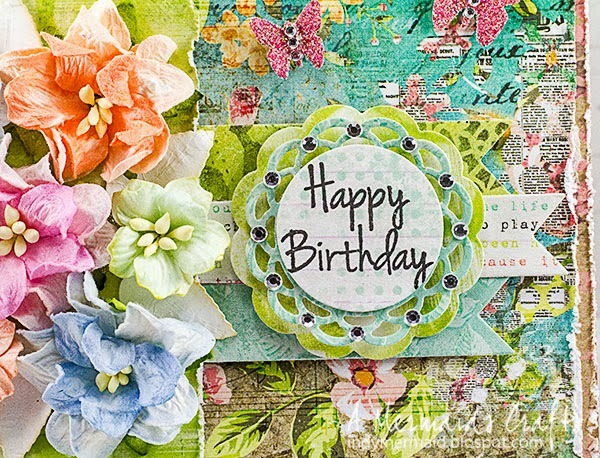 'Happy Birthday' is from Simply Sentiments. For more details, please visit my blog, A Mermaid's Crafts. Thanks so much for stopping by!! 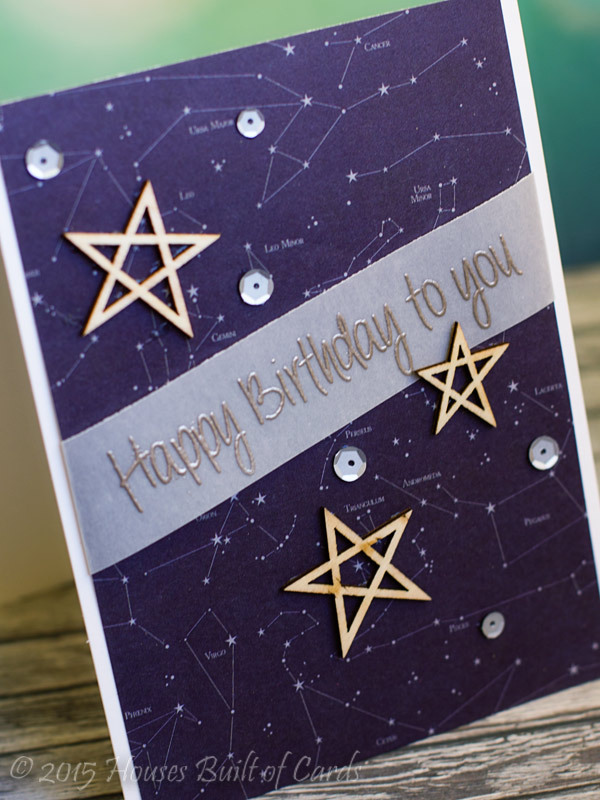 DT Post by Heather - Happy Birthday stars! I stamped my sentiment on vellum, and heat embossed, before layering on my pattern paper. Added a few wood veneer stars and Metallic sequins to finish it all off. Remember, everything is on sale to help clear out inventory - so make sure and go grab whatever sets you may be interested in before they are gone! Click HERE to go shopping or enter the following link to get the sale prices. 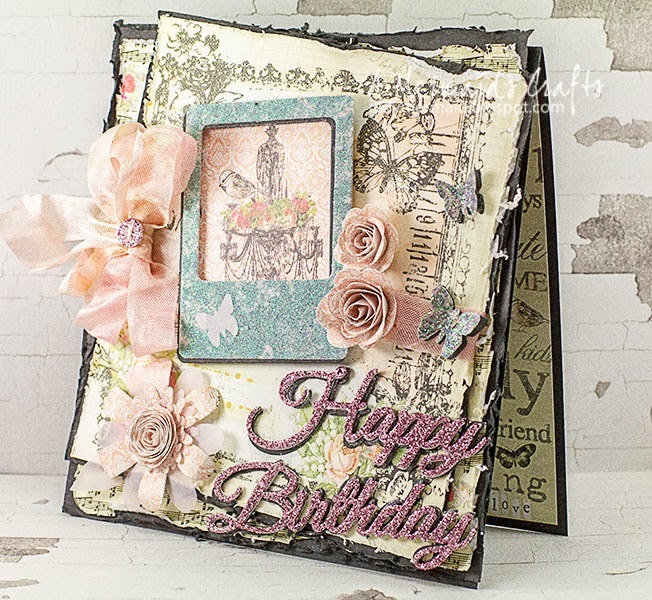 DT Post by Lisa - Sparkly Birthday Card! Happy Friday!! 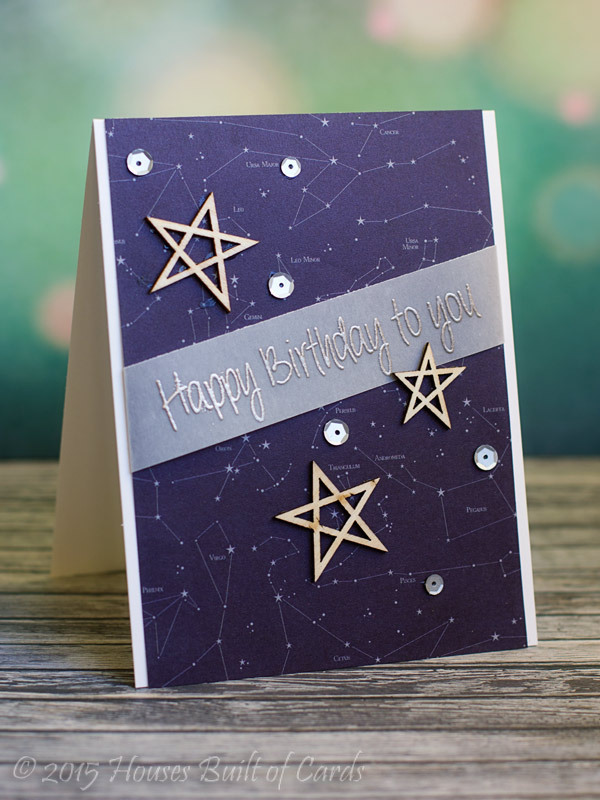 Lisa here to share a glittery, sparkly card with you using many My Craft Spot products!! This card really sparkles in person. 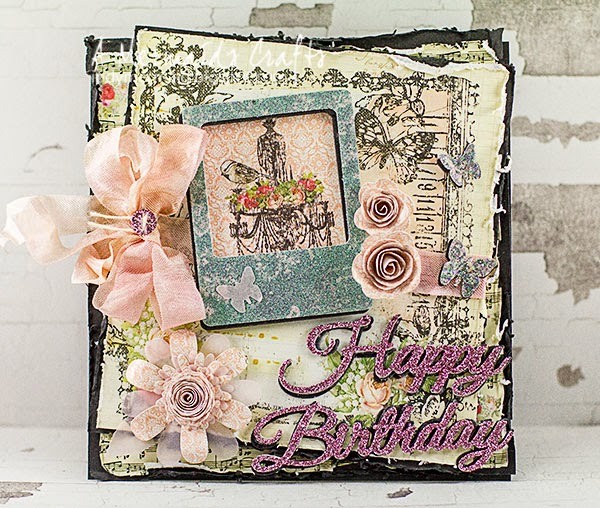 The focal point is the chandelier image from the Prima paper, captured with the the snapshot frame from the Scraping Life Cards die set. It was cut twice...once in black for a shadow. The top layer was lightly dusted with sugar coating for some sparkle. 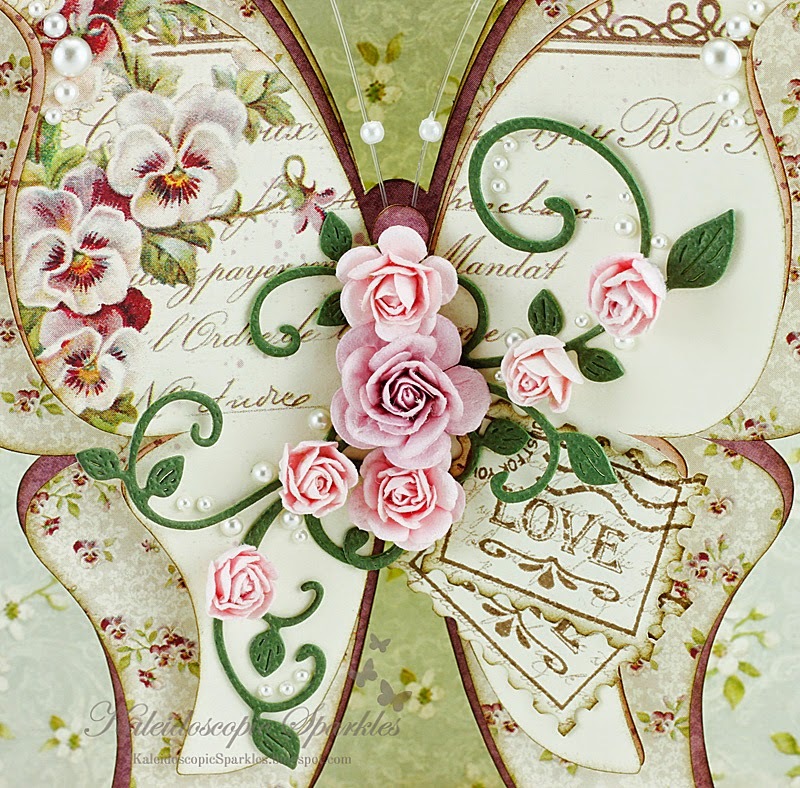 The butterfly was cut from the Small Alphabet die set in pink vellum. The other two butterflies on the side were cut from the same set but covered with sugar coating. The flowers next to the snapshot are Flowers Rolled Roses dies. The bigger flower on the bottom is constructed of several Flowers Daisy dies in both patterned paper and pink vellum. Happy Birthday is a Big Words Metal Die. It was cut twice...once in black for a shadow. The top layer was coated in purple glitter. The gorgeous crinkle ribbon is my most favorite color of all...Petal Pink...isn't it beautiful?! 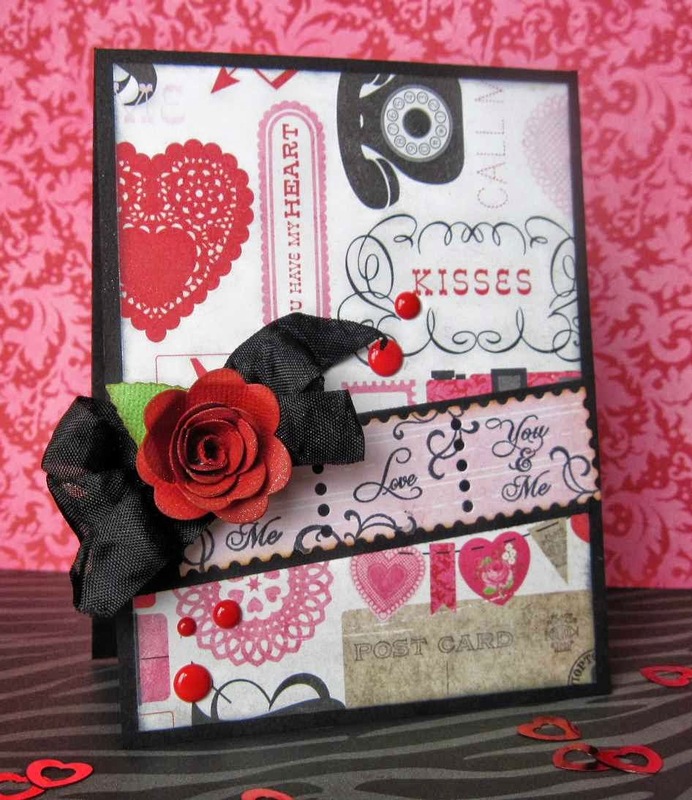 DT Post by Saundra - Gorgeous Valentine's Day Card! Hi There! It's Saundra from Luv Scrapping Together! I am here today to share an easy Valentine or Anniversary card. I have really enjoyed playing with all of Kimberly's products. For this card I started out with some Echo Park paper and added a few elements. I used the Rolled Roses Die and a leaf from the Flowers - Daisy Dies for my beautiful rose. I layered this on some Tuxedo Black Crinkle Ribbon. 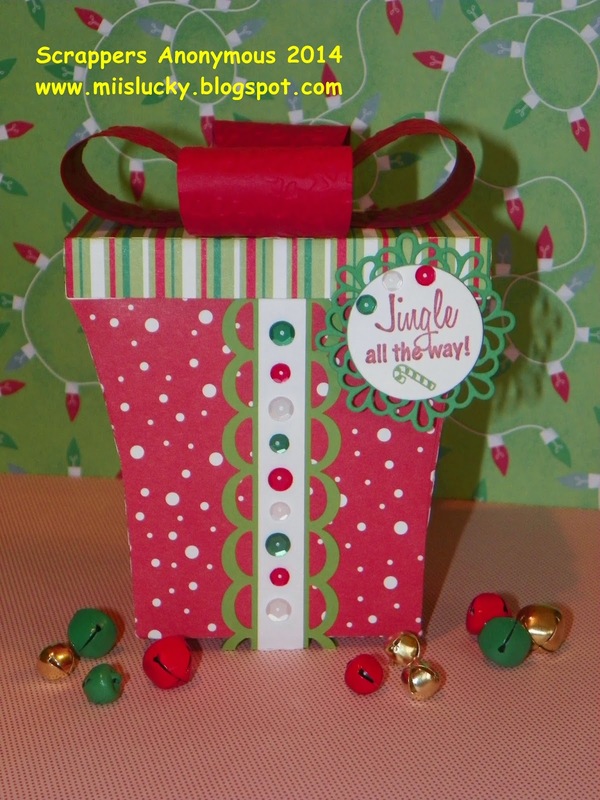 I used the Postage Stamp Die and stamped it with sentiments from the Tiny Tags 2 and Tiny Tags 3 stamps. I added a few enamel dots and sprayed my rose with some sparkle and the card was finished. 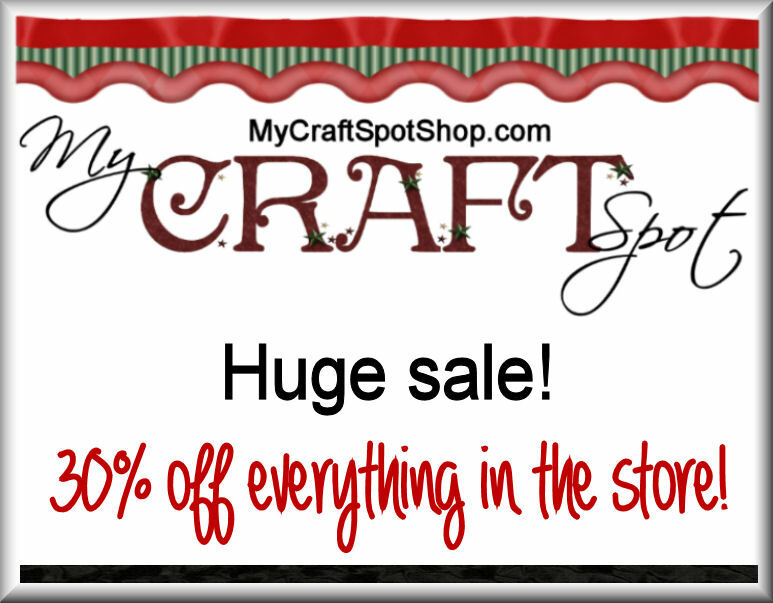 There are still many products in the My Craft Spot Shop. Just use this link to get 30% off. Thank you, Kimberly! It has been a true blessing being part of your team! Your bags and boxes were amazing! Thanks for joining the fun!! We have a winner (randomly picked) from the last challenge at My Craft Spot! 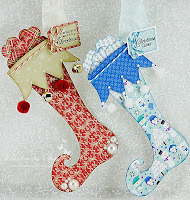 You won a $10.00 Gift Certificate to spend however you like at My Craft Spot! *Just a reminder that to qualify for the prize you will need to limit your entries in other challenges to 5. Be sure to grab your challenge winner button from the left side bar and Email me so I can email your gift certificate to you. For the DT Top 3 picks, preference will be given to entries using My Craft Spot products. The prize winner will still be selected randomly from all entries that follow the challenge rules. 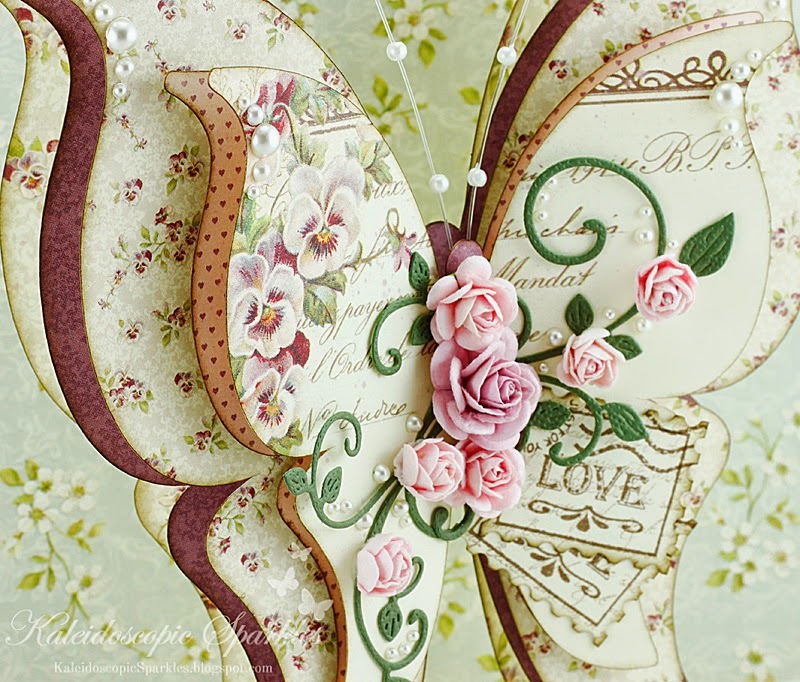 DT Post by Karen - Gorgeous Butterfly shape card! Hello, dear friends! 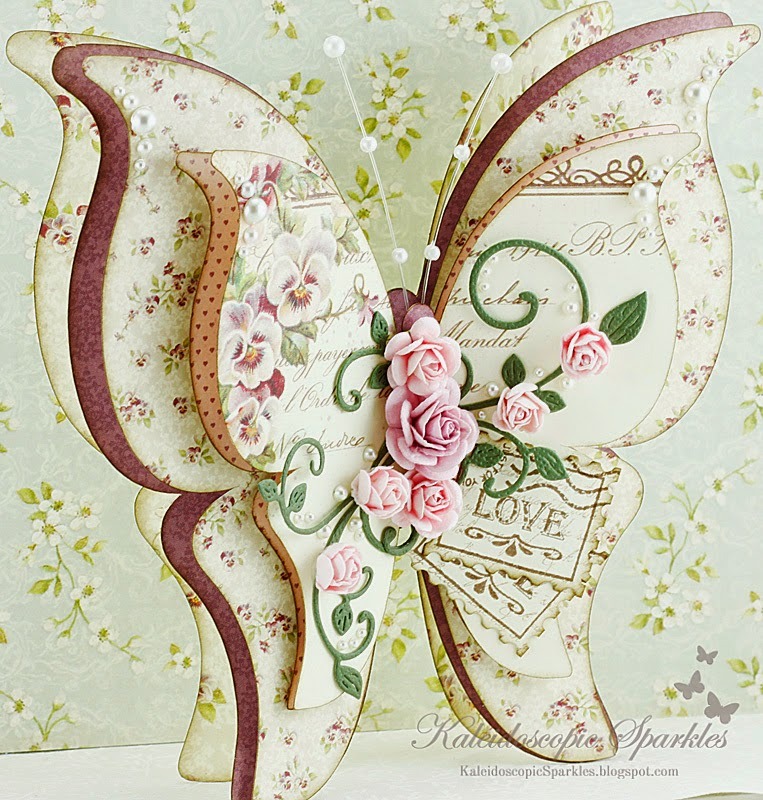 This is Karen from Kaleidoscopic Sparkles, fluttering in to share a whimsical shaped card with you! One of the many things I've always loved about Kimberly's products is that they inspire a journey. They're never something I squeeze in at the end of a project to complete it... rather, they are the beginning and encourage a heartfelt vision all on their own. There are so many beautiful sentiment choices on this set, but I naturally gravitated to LOVE for my butterfly shaped card. Extra love is tucked within the wings, where tiny purple hearts guide this special messenger. Everything on my stamp is included in the set. The faded script background was first stamped on a scrap paper to use up most of the ink, as I wanted it to look well-traveled. 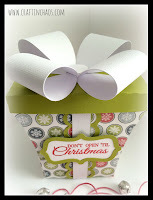 Above my sentiment are classic postage goodies, made sweeter by Kimberly's circular options. (I forgot to stamp the actual circle around just for you, but of course she didn't neglect such a detail!) The bottom border is one of several available to add extra touches of beauty. The stamps were cut out with the coordinating Postage Stamp Metal Dies and tucked within flourishing blossoms of love. 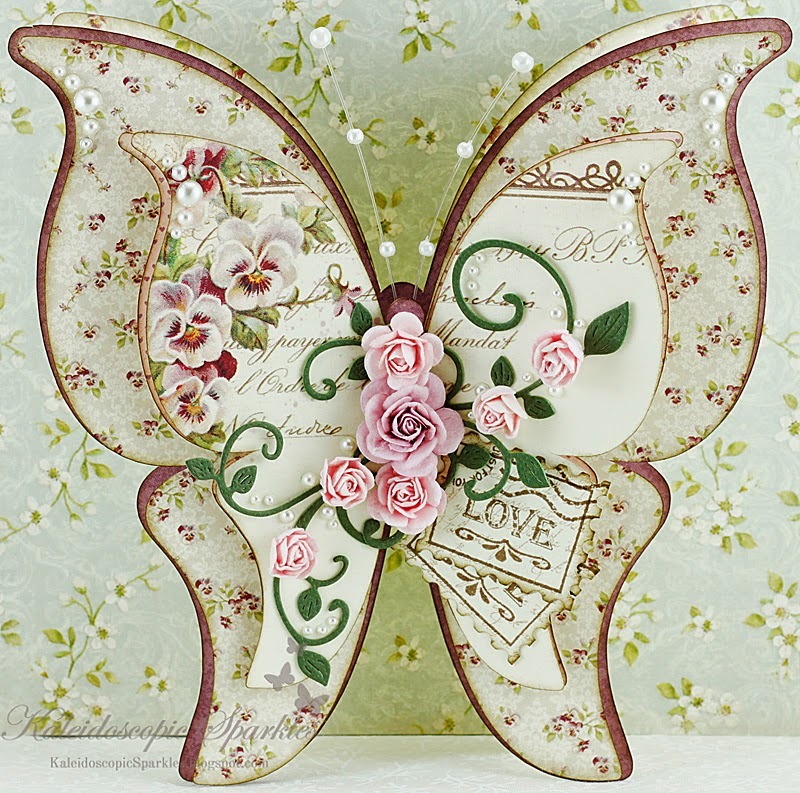 ♥ To include a message on a pretty tag, a pocket is added to the back of the butterfly... enabling this to sit out as a home decor piece, if desired. 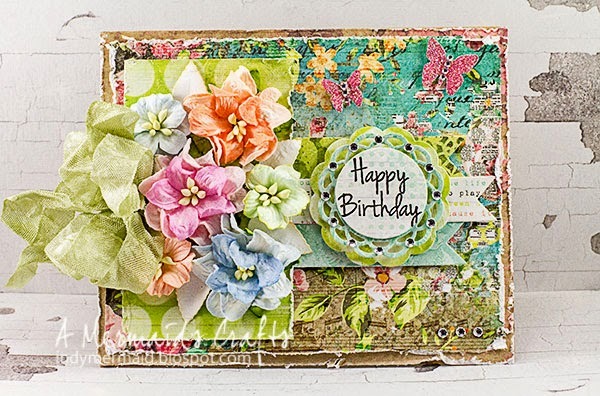 For further information about my card, flutter on over to my blog. :o) Thank you for visiting My Craft Spot and have a blessed day! I still have several posts from my very talented design team for you to enjoy over the next 2 weeks. I will leave my online store up for a bit while I clear out inventory. Thanks for all of you orders! I am getting them shipped as quickly as I can. 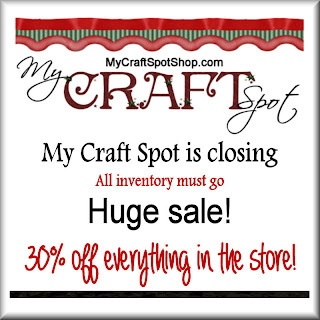 My Craft Spot store is closing . . .
My daughter has some health problems that she has been living with since she was in the first grade. Her health issues are aggravated by stress and lack of sleep (she is in Jr. High). She has spent a lot of time this school year feeling sick, so she has decided that she would like to try home school starting in January. I have thought about it a lot . . . and prayed about it . . . a lot . 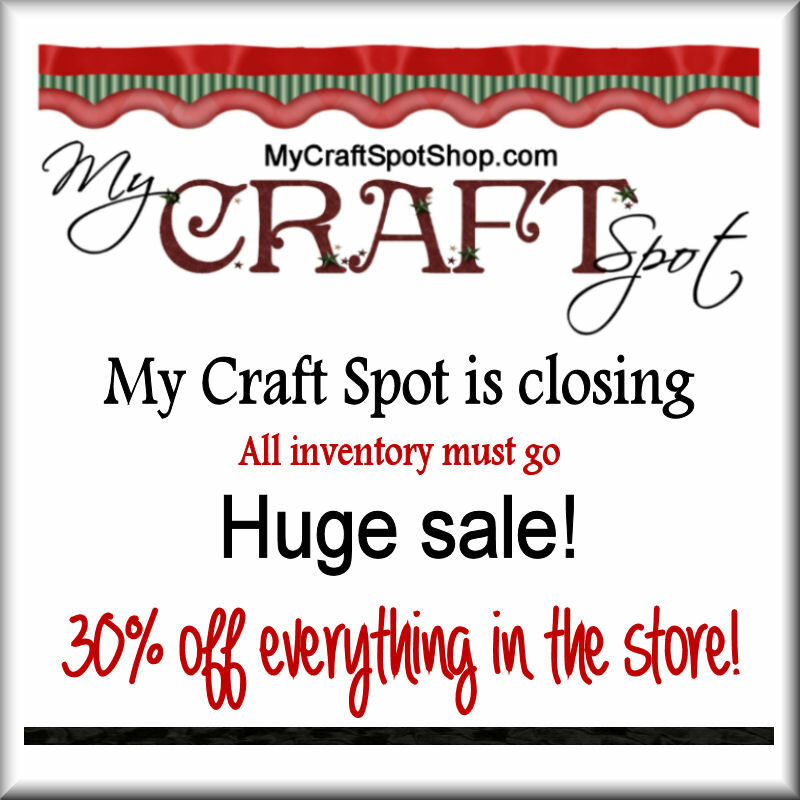 . . and I have decided that I need to close My Craft Spot and spend more time taking care of my family. Family is more important to me than anything else! I won't be re-stocking any of my stamps and metal dies. So, if there are any MCS stamps or metal dies on your wish list, now is the time to buy them. Everything in the store is 30% off right now!